Are you ready to take on a bathroom renovation project? Are you wondering what you should and shouldn’t be doing in regards to preparing the space? Fortunately, with a few key steps, you never have to concern yourself with making a mistake that will cost you time and/or money. Remove everything. The last thing you want to do is leave any items in place during the renovation. Not only can these get in the way, but they could also be damaged. It’s best to remove everything upfront so you don’t have to worry about it during the project. Close off the area. For example, if your bathroom is attached to your master bedroom, make sure it’s closed off as to ensure that the dust and construction material don’t soil another living space. Mark it up. This is simple: you want to mark up your space to ensure that you know exactly what you’re doing. This is even more important if you’re hiring a professional. For example, you could put tape on everything that is to be removed. While a bathroom renovation is a big project, the right preparation can go a long way in putting your mind at ease. Taking these steps will ensure that you prepare accordingly and are ready to take on every aspect of the project. Has the time come to tackle a much needed bathroom renovation project? Are you ready to get started sooner rather than later? Will 2018 be the year when you finally make your move? Know what you want. There is more than one way to do a renovation, so you need to have a clear idea of what you’re trying to accomplish. It’s a good idea to write everything out, as you don’t want to miss out on anything. Talk with your contractor. Unless you’re doing the job yourself, you’ll want to consult with your contractor to ensure that all your ducks are in a row. This is your time to ask questions and get feedback, so don’t be shy. Examine your plumbing situation. There’s a good chance that you’ll need to hire a professional plumber to complete your project, as you may be moving pipes or installing new fixtures. So, there you have it. If you’re planning a bathroom renovation in 2018, these tips are just what you need to succeed. 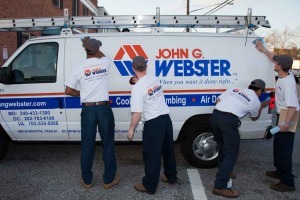 Of course, if you have any plumbing questions or concerns, you can consult with us! With the holiday season quickly approaching, it won’t be long before people are visiting your home for hours on end. Install a new vanity. This is one of the best ways to spice up any bathroom, giving it a fresh look and feel. Best yet, you don’t have to spend an arm and a leg on a new vanity. Install a new toilet. Let’s face it: an old toilet has a way of dragging down the appearance of any bathroom. 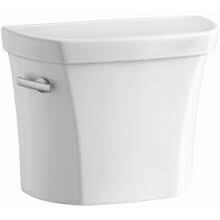 If your toilet is in need of an upgrade, make a change before your holiday guests begin to arrive. Update your shower or tub. There are many ways to do this, such as by swapping out the old faucet for a new one, adding modern tile, or resurfacing the old material. If one or more of these bathroom upgrades makes sense for your home, don’t hesitate to take action before the holidays. You’ll be glad that you did when your guests begin to arrive! Bathroom Renovation Goals: What Are You Striving For? When it comes time to tackle a bathroom renovation project, don’t hesitate to set goals. This will keep you on track from start to finish, while helping ensure that you are happy with the end result. This leads to an important question: what are the right bathroom renovation goals? What do you think of these goals? Do one or more of these make sense when it comes to your bathroom renovation? As long as you have at least one goal in mind, you’ll always be on the right track to not only tackling your renovation project but to being happy with the end result. Is there anything more important than that? What Factors Impact the Cost of Your Bathroom Renovation? Tackling a bathroom renovation is easier said than done. While this may be something you are looking forward to, you don’t want to take the first step until you have a clear idea of your budget. DIY or hire a professional. For example, hiring a plumber will set you back a few dollars. Even so, you get a high level of expertise in return. You need to take this into consideration when planning your project. You will have many choices when choosing materials for your bathroom renovation. From the flooring to the sink to the faucet, know how much you can spend on each item. Unforeseen problems. While you hope for the best, you know that unforeseen problems can bog down your project. You should expect these to happen and budget accordingly. Are you keeping the same layout? Are you changing it? If you want to change your bathroom layout, it’s going to cost more money. So, there you have it. These are just a few of the many factors that impact the cost of your bathroom renovation. If you require the assistance of a professional plumber, don’t hesitate to contact us. We are more than happy to help you plan your bathroom renovation project! When remodeling a bathroom or kitchen, it goes without saying that you’ll have many key decisions to make. The wrong layout. There are many details to consider when choosing a layout for your bathroom or kitchen. The current location of your plumbing will definitely come into play. The wrong material. You want your job to be done right the first time around. This means avoiding the use of the wrong material. Installation mishaps. 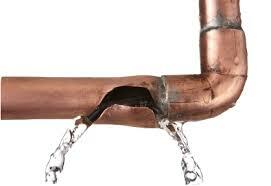 Can you think of anything worse than finding a leak after your job is complete? 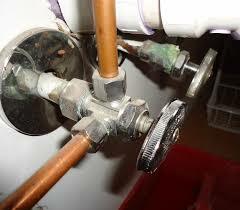 Installation mishaps can and do happen, especially if you don’t have much plumbing experience. If you’re tackling a home renovation project that requires plumbing expertise, don’t hesitate to consult with a professional. We’re more than happy to visit your home, assess your project, and help you decide what to do next. All you have to do is get in touch! There is nothing more exciting than planning a bathroom remodel and watching the process unfold. However, there’s something else to think about: the steps you need to take once the process finally comes to an end. Make sure everything is in good working order. If you hired a professional, you can be rest assured that everything is working as it should. Even so, you should check every last detail for peace of mind. Clean up. Even though your bathroom is brand new, there’s nothing wrong with cleaning the floors, wiping down the counters, and making sure all dust and debris is eliminated. Enjoy your new space. It can be great fun to step into a newly remodeled bathroom for the first time. You should enjoy every last second that you spend in your new space! So, there you have it. These are a few of the top steps to take after a bathroom remodel. If you need any help with the plumbing portion of your project, don’t hesitate to contact us.